Washington (AFP) - Fast-food giant McDonald's announced Wednesday it would stop serving chicken raised with antibiotics that are important to human health, as worries grow over resistance to crucial drugs. 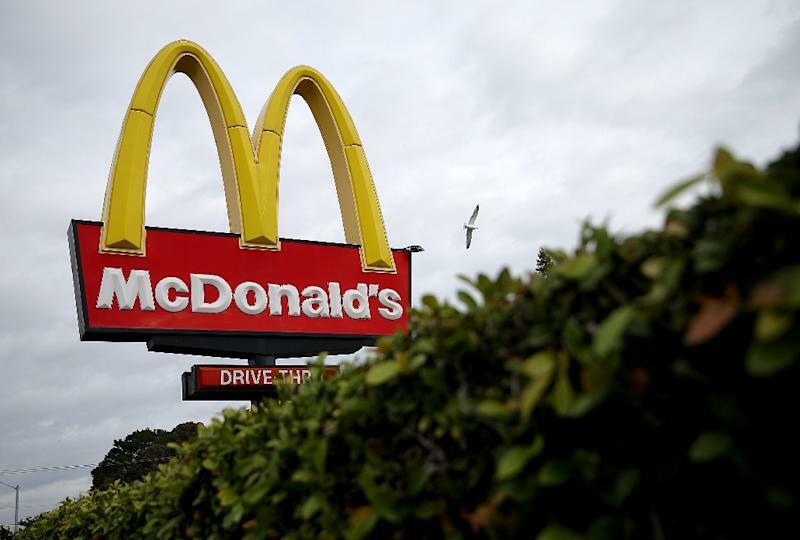 McDonald's said it would work with poultry farmers to halt the use of what the World Health Organization has identified as "critically important antimicrobials" to feed the chickens it serves alongside its popular hamburgers. Some antibiotics would still be allowed, but only poultry-specific ones not used on people. "While McDonald's will only source chicken raised without antibiotics important to human medicine, the farmers who supply chicken for its menu will continue to responsibly use ionophores, a type of antibiotic not used for humans that helps keep chickens healthy," the company said. McDonald's said that it hoped to implement the new restrictions at its 14,000 US restaurants over the next two years. The move will help prod changes by the large industrial chicken suppliers which have fostered widespread use of human antibiotics among growers. Over several decades livestock producers have increasingly fed a wide range of antibiotics to animals to prevent disease and boost growth. McDonald's said it would not accept any poultry in which antibiotics are used to encourage growth. It said it recognizes that farmers could use human-use antibiotics on sick animals, but that it would not accept those into its food supply. The move comes in response to a growing number of health-conscious consumers who have shown in supermarket and restaurant purchases that they are interested and willing to pay for healthier food. A year ago the Chik-fil-A chain, the largest fast food buyer of chickens, announced a plan to go completely antibiotic-free within five years. Following that, Purdue, the third largest chicken processor, said it had stopped using human antibiotics on 95 percent of its chickens, and would no longer inject hatchery eggs with antibiotics as a preventative and growth booster. Laura Rogers, director of the Antibiotic Resistance Project at The Pew Charitable Trusts, said it is crucial to slash the use of antibiotics in the livestock industry. "Every time we use antibiotics... we have the potential to get antibiotic-resistant bacteria. We are running out of new antibiotics and new types of antibiotics," she told AFP. But she said the changes are consumer-driven, after years of failed efforts by activists to get the US Food and Drug Administration to ban the use of critical huma antibiotics. "McDonald's made this change because that's what their customers wanted," she told AFP. But she also noted McDonald's additional statement this week that their criteria in part come from the WHO push to prohibit the use in animals of antimicrobials defined as "critically important" to human medicine. "They are at least the first major food company that's talked about responsible use," she said. Even so, McDonald's made no mention of the beef used in its popular hamburgers, or pork. Making the change in both could be more complicated, acknowledged Rogers. "Raising beef is different from raising hogs or raising turkeys," she said. But the activist group Food and Water Watch said it's not enough to wait for the industry to evolve with consumers. "We're glad to hear McDonald's realizes the public doesn't want food from factory farms that overuse antibiotics," said executive director Wenonah Hauter. "But voluntary measures are not enough. It's past time for the FDA to force the meat industry to eliminate its use of harmful antibiotics though enforceable, non-voluntary regulation."